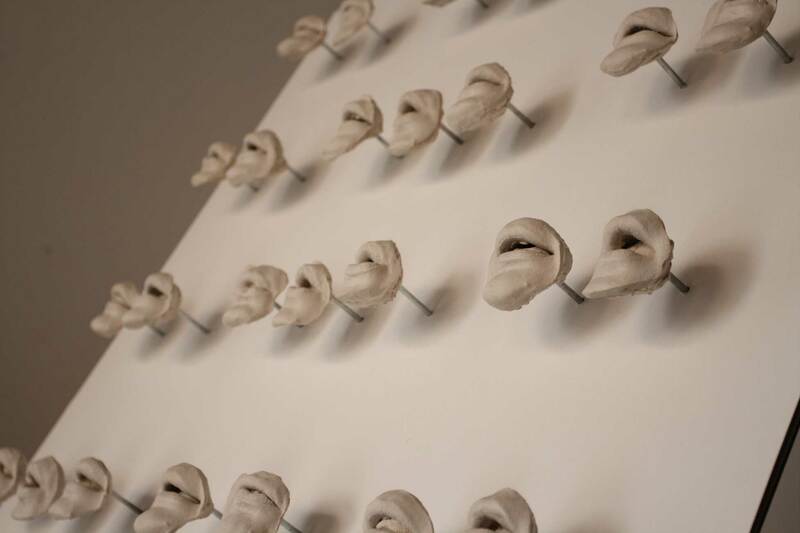 If These Walls Could Talk is a sculptural portrait that investigates how to capture and preserve the impermanence of an individual. 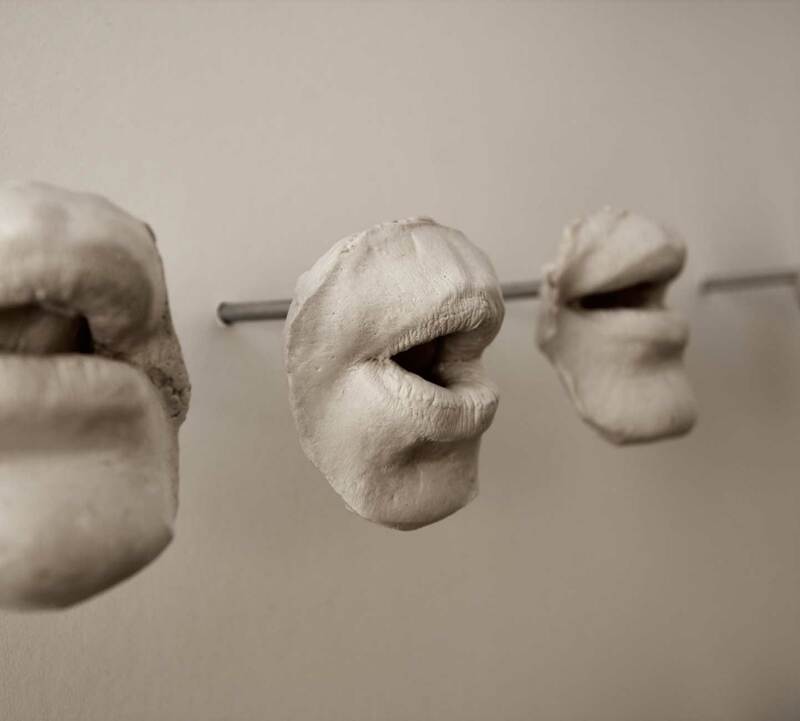 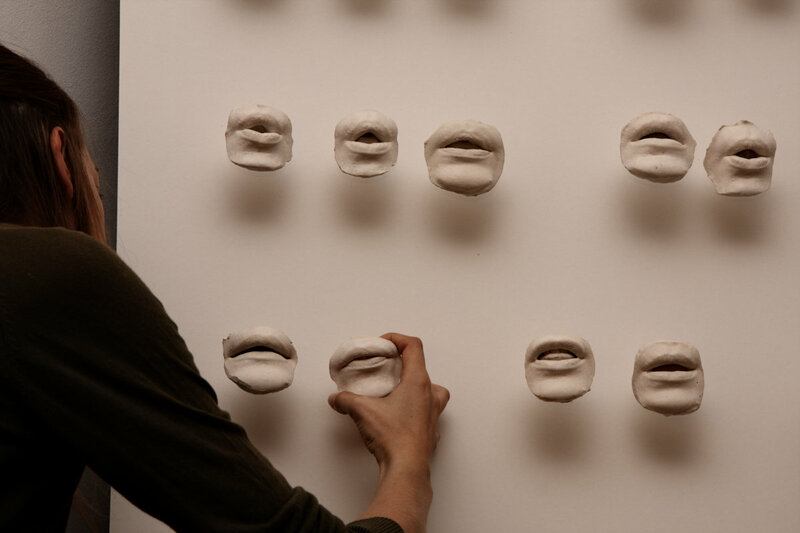 Each mouth sculpture captures a fragmented syllable of the sentence, 'if these walls could talk'. 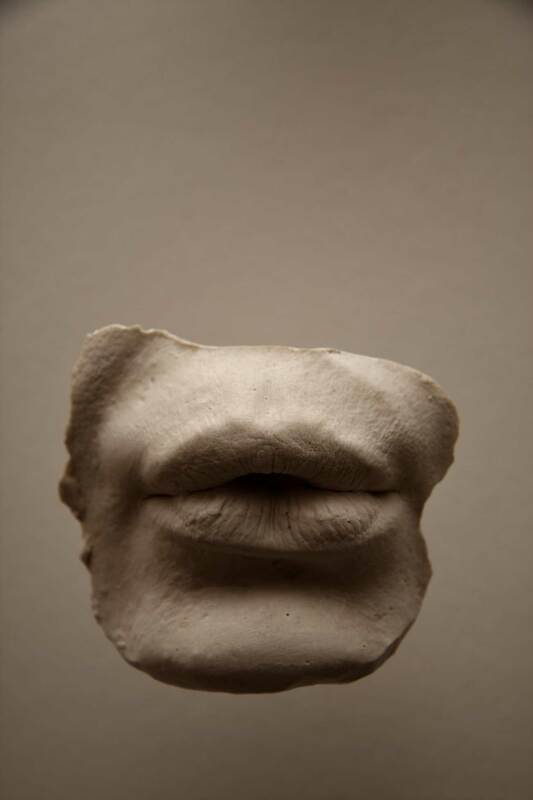 Small nuances of habitual gestures capture a personality, its thought process, the symbolic essence of an individual. 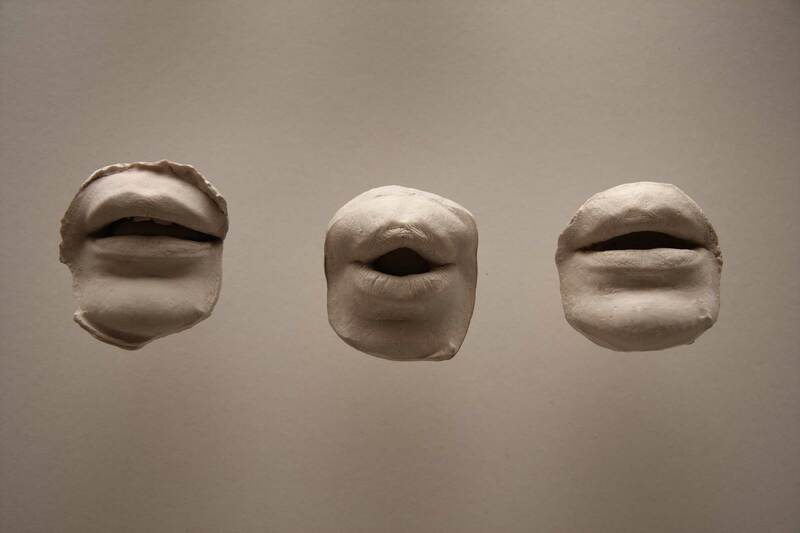 The mouth, presented like a relic or scientific specimen, is preserved for interpretation or misinterpretation for those who follow the fluid design of the speech pattern. 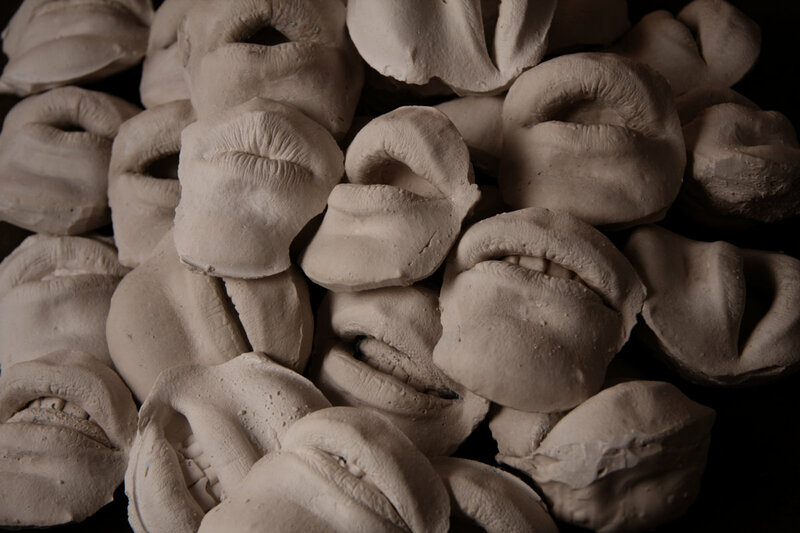 This artwork is my personal response to conversations between myself and the artist Audrey Anderson whilst sharing a studio in 2011.